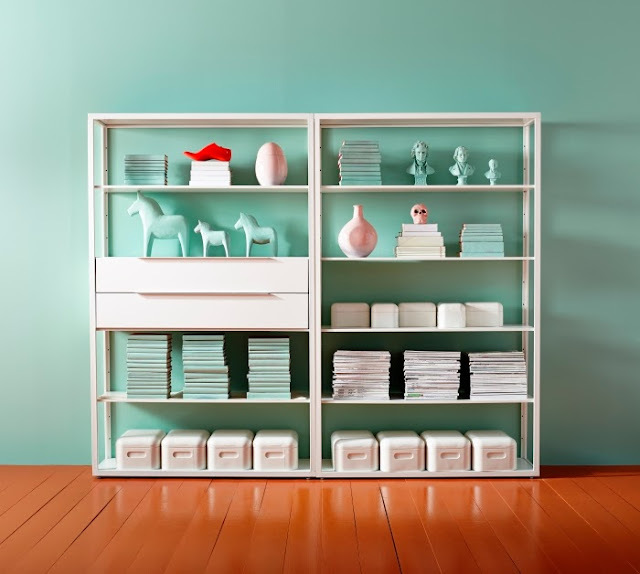 Put your stowaway items on display in this sleek, understated shelving unit from Ikea. Made from 100 percent steel, FJÄLKINGE is strong enough for a 25 kilogram load and has extra shelving and drawers. It is also available in two widths - 58cm or 118cm.